Pensacola Beach is a sports enthusiast's dream with fishing, Jet skiing, parasailing, surfing, swimming, charter boat fishing, sailing, motor boating, camping, diving, and hiking. The entire family can spend time together going to the small beach shops, boutiques, galleries and parks all in a friendly casual atmosphere. It is located on the western end of Santa Rosa Island with the sound on one side and the Gulf Coast on the other. It extends for nine miles on one of the most beautiful beaches in Florida. Buyers that are interested in finding residential real estate will see unique and distinctive styles and types of single-family homes for sale along with community amenities and events that are particular to this locale. Waterfront homes and beach houses only comprise 26% of all real estate sales and range in price from $300,000 to the millions. Villa Segunda is a well-established community three blocks from the Pensacola Elementary School. All prices of homes can be found here, from 1970's beach cottages start at $400,000 to luxurious four and five-bedroom executive homes with direct beach and sound views that can run over three million dollars. Villa Primera is a newer development in central Pensacola Beach. These homes average $600,000 and sales can exceed a million for large two-story contemporary styles homes with direct access or views of the sound. Villa Sabine surrounds Little Sabine Bay and offers many new exclusive four and five bedroom houses that have spectacular water views. Homes can run from $600,000 to $1.3 million. There are also townhomes on the Little Sabine Bay with prices in the mid $400,000's. Santa Rosa Villas offers extra large and often exotically beautiful homes directly on the Gulf Coast and east of Little Sabine. There are homes built in the 1990s and some that are brand new or in construction. All are unique and breathtaking. Homes sell here from below $900,000 to $1.1 million. Calle Hermosa is located beside Santa Rosa Villas and is a much-coveted address. The homes can be both sound and gulf-front, or on one side or the other. 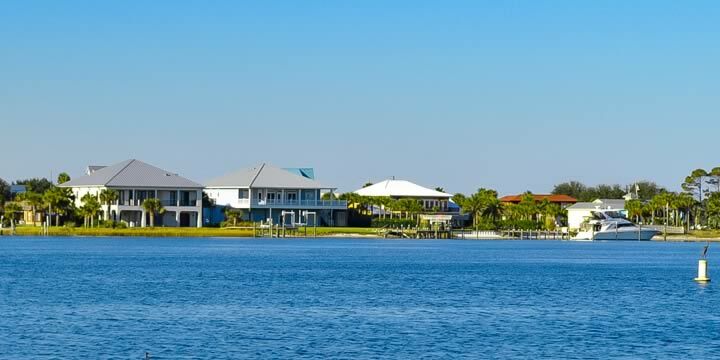 Built in the 1980s and 1990s, these homes are priced for sale over $600,000, but there are a few sprawling houses as large as seven bedrooms that are directly on the beach and approach $4 million in price. Lafitte Cove is west of Little Sabine Bay and offers established three and four-bedroom homes on the sound that average in the $800,000 range. Most have private boat docks and magnificent water views. 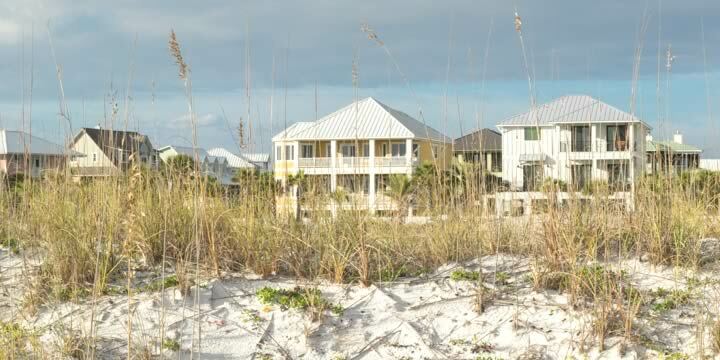 Deluna Point is a gated community on the west side across Fort Pickens Road from the Gulf and the Dog Park West. It has both sound-front and Gulf-view homes with prices from $400,000 to a million. This beautiful subdivision also has a community pool and pier. Use our Pensacola Beach house sales Report to compare recent real estate listings and residential sales listed by price, days on the market, and size. 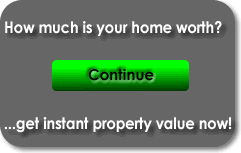 When looking for a beachfront house, it is important to give us a call and tell us what you have in mind. The Realtors at Emerald Coast Realty have the knowledge, experience, and tools that help buyers find the perfect house on Pensacola Beach.